Great value Cabernet from Argentina! 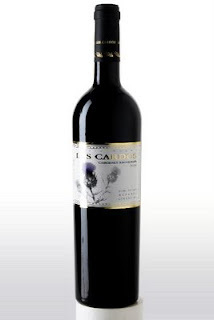 This is a well-regarded Malbec producer who also does a nice job with Cab at a bargain price. Interestingly, this is the first wine I opened in the new year- and shortly after my friend declared 2009 "the year of frugality". I paid $8 for the wine- how appropriate! Raise a glass! The 2006 I reviewed was equally surprising and an equally good value. Raise a glass! Raise a glass to the WCB's fourth anniversary!